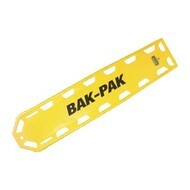 The BAK-PAK™ ULTRA Long Spine Immobilization Board has all of the design features as the BAK-PAK™, but is thinner and lighter. Weighing in at only 10 lbs. the board is just 0.75“ thick and load tested to 1400 lbs. 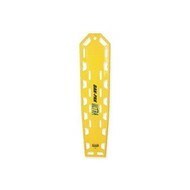 The BAK-PAK™ ULTRA board works well with adults and pediatric patients, does the job in rough terrain and water, and provides needed rescuer features without sacrificing patient comfort. It is the board of choice for the U.S. Military.